Wonderful brick home in good condition. Home has 3 bedrooms, one full bath, nice size living room, dining room and large kitchen. There is a full laundry room, attached two car garage with opener and a covered patio to enjoy the country. Like new laminate flooring, carpet and tile in bath. Home is on one full fenced acre with two large 24 x 24 storage-Shop buildings with overhead doors and concrete floors. There are NO city taxes and only 2 minutes from I-35 and Walmart. Please, send me more information on this property: MLS# 14037380 – $149,500 – 6249 State Highway 171, Hillsboro, TX 76645. 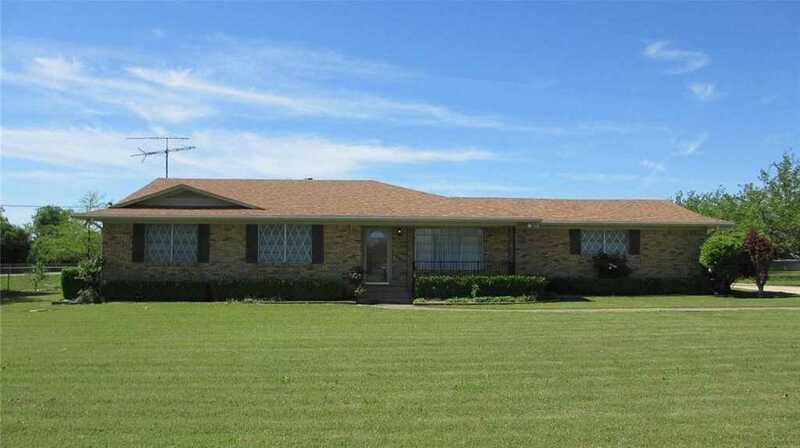 I would like to schedule a private showing for this property: MLS# 14037380 – $149,500 – 6249 State Highway 171, Hillsboro, TX 76645.